My favorite guy from the backside of Sweden, the Hexmaster of Faktoider.nu, posted this picture today. 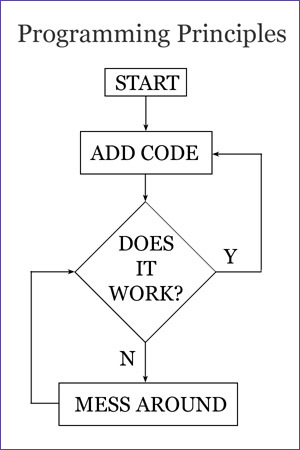 He posted it tagged as something funny and as a joke, but it actually catches the principles of Lean Software Development in the best way I've seen until now: do not add functionality until you've gotten the the stuff you've already to work. Then, if you want to call fix defects "mess around" is probably another question.